assassination attempts because he wears a moral vest. I am back in Havana, Cuba today after visiting a natural medicine clinic in Santa Clara, Cuba; an agricultural cooperative in Matanzas, Cuba; a teacher training arts school in Matanzas; and ELAM, the incredible Latin American Medical School that trains and sends doctors to work all over the world. With each program or institution visited I wonder what it would be like to live in a country with values of social justice instead of values of profit and plunder. There are countless examples of those who wear a moral vest here in Cuba. 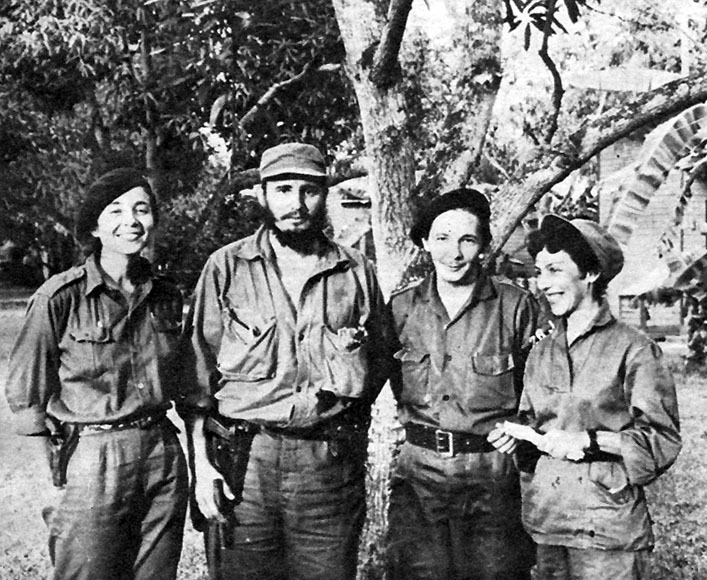 It is most certainly not easy for the Cubans to live their principles in the face of so much oppression from the USA. Their daily lives are restricted from the moment they wake till they sleep at night and not by the government. Running water, flushing toilets, toiletries, access to oil to run a tractor or a car, obtaining the parts to fix a car, obtaining medicines; these and more are scarce and make life difficult. It is interesting to me that while their form of socialism is so hated by USA elites it is based in hard work and contributions to the country; they are rewarded for the level of their commitment to social justice and the sharing of resources. This is not allowed under capitalism. The homes and apartments in which Cubans live, whether they are allotted cars, their jobs are all based on education, level of commitment and hard work as evidenced in their contributions at work and in their communities. People from the USA have difficulty grasping the concept of a life where one does not pay rent or a mortgage or a car payment or for health care or school. Members of this delegation from the USA continue to ask questions about shareholders; how much cars cost; where the stores are located; and, how much oppression people here are facing without any real understanding of the fundamental changes this government is attempting to establish and manifest. In the Cuban medical schools they are taught both traditional and natural medicine. These doctors are known and trusted around the world because they have been taught to care about the patient and not view them as a client to be charged money for profit. Just recently seven American women doctors trained in Cuba returned to work with the medical brigade in Haiti. All of the training done in Cuba is framed within the commitment to serve communities in need. On the contrary, the people of the USA are programmed to think hate of medicine not for healing rather as a mechanism to maintain disease to keep a drug and surgical industry as a profitable way to make money. On the farms in Cuba the land is given to those who apply and they are allowed to live on the land and work for 90 days before they make their commitment and a cooperative board accepts them as a member of the cooperative association. Women and all races in Cuba have access to these opportunities and many incentives are provided because developing a self-sustaining Cuba has been critical since the collapse of the Soviet Union. Once one is a member they contribute to both their own sustenance and receive the resources and benefits of their hard work. Women and all races are present at every level of labor and leadership. Every place I have visited and talked with the people they express their commitment and passion for their culture and society. This is not my experience in the USA where the focus is rarely on producing art for the people. Producing art is for money and fame. Where ego is de-emphasized here; narcissism is encouraged in the West. Where good behavior is encouraged here, ugly and violent behavior is glorified in the USA. Where the women’s federations set up programs to counsel all family members in domestic crisis and teach them to live in ways that benefit the family; the USA model is to disconnect and provide a band-aid in the form of a shelter. I am not telling you things are perfect here in Cuba. They are not. Most certainly, the effects of the embargo have been devastating. The effects of colonial racism and sexism have their own unique manifestations here as Cuban socialism attempts to rid itself of these internalized oppressions. However, the real Cuban people; not the ones who are sitting in Miami plotting the destruction of their own people out of their own greed and selfishness; the real Cuban people wear a moral vest and the examples they set for their children in the schools and hospitals and their daily life are visible to those of us to whom they open their doors.